Composer and teacher, born 17 June 1930 in Vilnius. language of his own, in which there are reminiscences of music from past epochs. This attitude most probably stems from the composer's studies of the Gregorian chant and medieval polyphony in 1963 and 1966 under the guidance of Nadia Boulanger in Paris. Romuald Twardowski first studied piano and composition with Julius Juzeliunasi at the State Conservatory of the Lithuanian SSR in Vilnius in 1952-57. He continued his composition studies in 1957-60 at the State Higher School of Music in Warsaw under Bolesław Woytowicz. In 1963 and 1966 he studied Gregorian chant and medieval polyphony with Nadia Boulanger in Paris. He is a laureate of numerous awards and distinctions. His "Antifone per tre gruppi d'orchestra" (1961) won First Prize in the Competition for the Young of the Polish Composers' Union, and in 1963 - second prize at the UNESCO International Composers’ Tribune in Paris, he was awarded First Prize in 1966 for his "Sonetti di Petrarca per tenore solo e due cori a cappella" (1965) at the International Composers' Competition in Prague, he received awards during the Prince Rainer International Composers' Competition in Monaco twice - in 1965 for his ballet-pantomime "Sorcerer's Sculptures" (1963) and in 1973 for his musical drama "Lord Jim" (1970-73). In 1994, he received the prize of AGEC – West European Federation of Choral Societies and the annual award of the Polish Composers' Union,while in 2006 – the Ignacy Jan Paderewski Award in Baltimore. 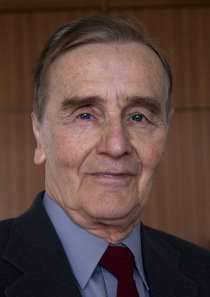 Romuald Twardowski has been a Professor at the State Higher School of Music in Warsaw since 1971.